Raise your hand if you could use a 16-port USB hub. Now then, for the six of you who raised your hand, check out this hub from Century. (Yes, I'm fully aware that hubs with more ports exist, but Century's doesn't resemble a third grader's science fair project.) In addition to being a port fiend, Century's hub can also simultaneously connect to two PCs using a selector. Granted, a 16-port USB hub might not generate the same kind of excitement as a giant walking robot elephant or anything, but I'll be damned if I'm not constantly swearing at my iMac for not having enough USB ports. 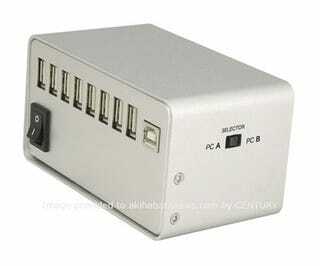 31 Port USB Hub, Why Not?